PRINCEVILLE BOTANICAL GARDEN IS A WORLD-CLASS BOTANICAL GARDEN AND RESIDENCE LOCATED ON THE BEAUTIFUL NORTH SHORE OF KAUA'I. Princeville Botanical Garden is a world-class botanical garden and residence located on the North Shore of the island of Kauai. The property offers approximately 8.75 acres of expansive gardens, broad trails carved into terraced hillsides, tapered jungle valleys, flowing streams and approximately seven hundred varieties of plants. 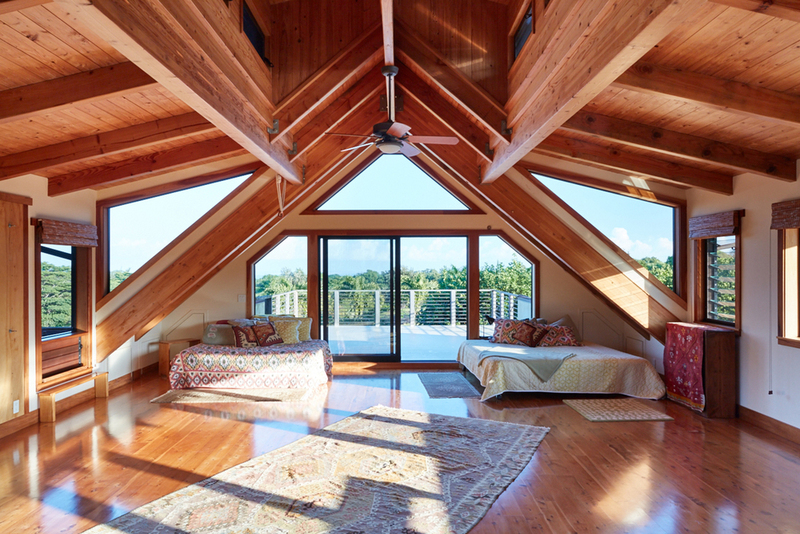 There are numerous existing structures and additional building sites offering panoramic views of the Hanalei Mountains and Pacific Ocean. For more information, see the following links or scroll to see more below. 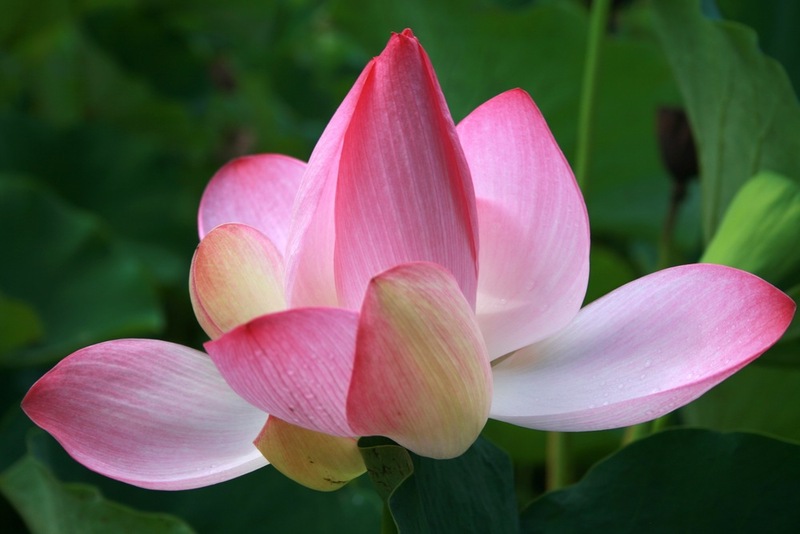 For more information about the garden at Princeville Botanical Garden, CLICK HERE. For more information regarding the real estate at Princeville Botanical Garden, CLICK HERE. For more information regarding business opportunity at Princeville Botanical Garden, CLICK HERE. To view a gallery of photos and videos of Princeville Botanical Garden, CLICK HERE. To read reviews about the Princeville Botanical Garden tour business, CLICK HERE. For all inquiries, CLICK HERE. The Princeville Botanical Garden that we know today - a beautifully manicured home site with sweeping views of the Hanalei Mountains and Pacific Ocean, sitting atop approximately 8.75 acres of broad trails carved into terraced hillsides, expansive gardens, tapered jungle valleys, flowing streams and thousands of plants, of more than 900 varieties - is an astounding residential property and a botanist's dream, but it did not always exist in this idyllic state. Previously cattle land, centuries of unrestricted plant growth had strangled out the native flora throughout this part of the Anini Stream Valley, up until 2001, when the current property owners, Bill and Lucinda Robertson, purchased the property and catalyzed a 15-year passion project to bring the Garden we know today into existence. CLICK TO EXPAND. Boundary lines are approximated. Princeville Botanical Garden spans approximately 8.749 acres of land on the North Shore of the island of Kauai, in the Agriculture-zoned lands of the Princeville at Hanalei subdivision. Situated up in the rolling hills of Princeville, this remarkable property is located amidst one of the most desirable residential neighborhoods on the entire island of Kauai, offering stunning mountain, waterfall and ocean views in a serene and peaceful setting, while affording very quick access to Hanalei Bay, Princeville, Anini Beach, and all other attractions of the North Shore. Being a residential subdivision, this incredibly unique and rare opportunity allows for you to actually live, eat, sleep and otherwise reside inside of a world class botanical garden, located in the heart of the North Shore of Kauai - one of the most beautiful places in the world. Primary home site in foreground. While an additional primary home could be constructed anywhere on the property, the ideal home site is perched atop the expansive gardens, tapered jungle valleys and flowing streams below, and offers panoramic views out to the Hanalei Mountains and Pacific Ocean from above. 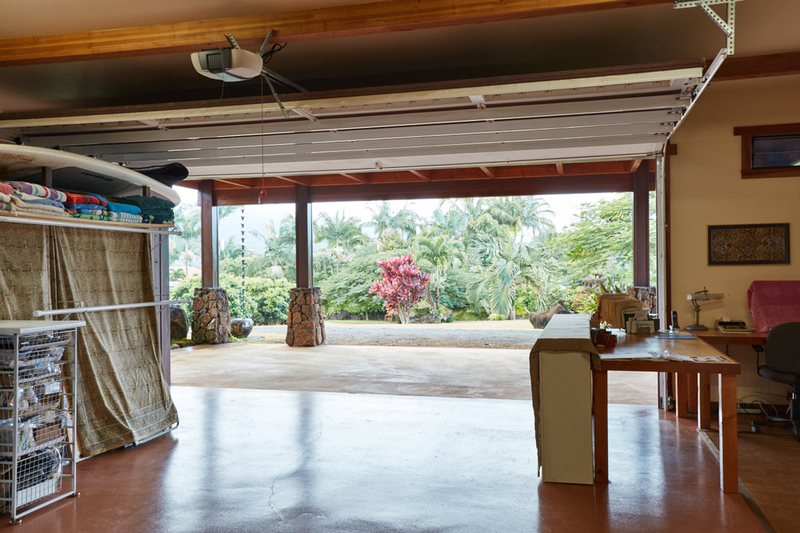 From this location, along the ridge of the Anini Stream Valley, there is a tremendous sense of open space, peace and quiet, coupled with astounding views - a combination rarely achieved so successfully on the North Shore. This truly unique and idyllic home site affords you the opportunity to design and build the Hawaiian home of your dreams. 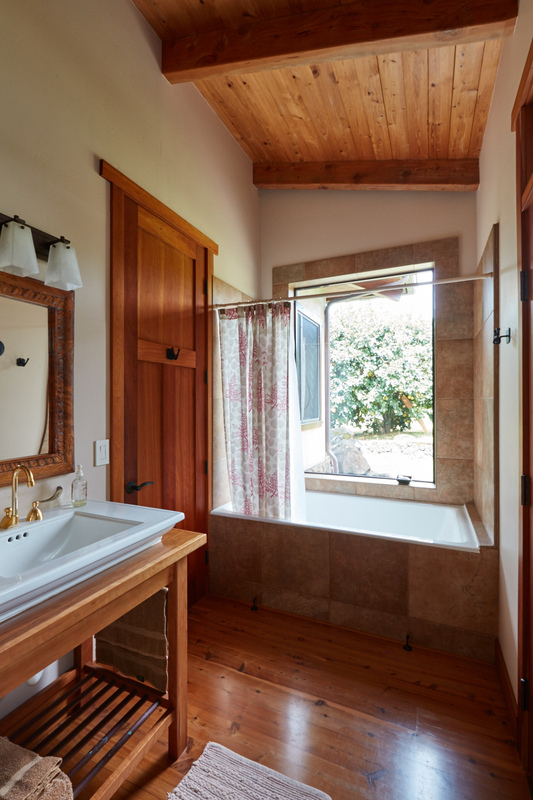 In addition to the existing Ag Building and primary home that may be built on the property, a Guest House may also be constructed in accordance with local development standards, allowing you the opportunity to further create and enjoy separate living spaces throughout this garden property. Princeville Botanical Garden offers a unique opportunity for visitors to see a family grown and operated botanical garden, complete with exotic flowers, delicious fruit trees, healthy beehives and organic homegrown chocolate. Tours are offered three days each week and provide visitors with an educational walk through all areas of the garden, teaching them about native Hawaiian flora, tropical medicinals, sacred flowers, and food plants, and they also include seasonal fruit samplings of honey tangerines, mangosteens, lychee, rambutan and more, as well as homemade honey samplings and a 1/2-hour chocolate tasting during which they learn about the cacao tree and how the Robertson family processes their own organic chocolate, while sampling delicious gourmet chocolates from around the world. The video above is an advertisement currently running on the local Kauai Visitor Information Channel (KVIC-TV), which provides an excellent overview of the garden tour. Over the course of the last 5 years, Bill and Lucinda Robertson have entertained thousands of visitors and spent countless hours sharing the sights and sounds of these beautiful grounds, explaining the nature and history of the plants and offering samples from the garden. As of this writing, more than 300 tour visitors have shared exceptional reviews of their experience on TripAdvisor (see HERE), making Princeville Botanical Garden the #1 rated "Thing to Do" in Princeville (out of 24), and #12 rated "Thing to Do" on the entire island of Kauai (out of 235)! To view all photos in the gallery, CLICK HERE. Princeville Botanical Gardens is the #1 Thing to Do in Princeville & in the top 20 for all of Kauai! To read more of the 300+ excellent reviews on TripAdvisor, CLICK HERE. Interested in learning more about this offering?